A pioneering force behind the evolution of the modern gospel quartet sound, the Dixie Hummingbirds were among the longest-lived and most successful groups of their era; renowned for their imaginative arrangements, progressive harmonies and all-around versatility, they earned almost universal recognition as the greatest Southern quartet of their generation, and their influence spread not only over the world of spiritual music but also inspired secular artists ranging from Jackie Wilson to Bobby "Blue" Bland to the Temptations. Formed in Greenville, South Carolina by James B. Davis, the Dixie Hummingbirds began their career during the late '30s as a jubilee-styled act; joined in 1938 by 13-year-old baritone phenom Ira Tucker and bass singer extraordinaire Willie Bobo, a former member of the Heavenly Gospel Singers, the group made their recorded debut a year later on Decca, where they issued singles including "Soon Will Be Done with the Troubles of This World," "Little Wooden Church" and "Joshua Journeyed to Jericho." Upon relocating to Philadelphia in 1942, the Hummingbirds' popularity began to grow - Tucker, in particular, wowed audiences with his flamboyant theatrics, rejecting the long tradition of "flat-footed" singers rooted in place on stage in favor of running up the aisles and rocking prayerfully on his knees. By 1944, he was even regularly jumping off stages - indeed, the frenetic showmanship of soul music may have had its origins in Tucker's manic intensity, itself an emulation of country preaching. At the same time, the Hummingbirds' harmonies continued to grow more sophisticated; the addition of Paul Owens completed the quartet's development, and together he and Tucker honed a style they dubbed "trickeration," a kind of note-bending distinguished by sensual lyrical finesse and staggering vocal intricacy. Their virtuosity did not go unnoticed by audiences, and throughout the mid-'40s - an acknowledged golden age of a cappella quartet singing - the group regularly played to packed houses throughout the south. Under names like the Swanee Quintet and the Jericho Boys, the Dixie Hummingbirds also regularly appeared on Philadelphia radio station WCAU; it was as the Jericho Boys that they auditioned for the legendary producer John Hammond, who in 1942 booked them into the Cafe Society Downtown, then the Greenwich Village area's preeminent showcase for black talent. By 1946, the Hummingbirds were again recording, cutting sides for labels including Apollo and, later in the decade, Gotham and Hob. 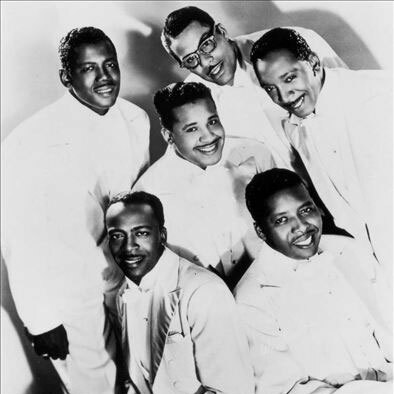 In 1952, what many consider the group's definitive lineup - a roster of Tucker, Davis, Bobo, Beachey Thompson, James Walker (replacing Owens) and ace guitarist Howard Carroll, a roster which held intact for close to a quarter century - signed to the Peacock label, where over the course of the following decade they recorded a series of masterpieces including 1952's "Trouble in My Way," 1953's "Let's Go Out to the Programs," 1954's "Christian's Testimonial," 1957's "Christian Automobile" and 1959's "Nobody Knows the Trouble I See." After earning a standing ovation for their performance at the 1966 Newport Folk Festival (captured on the Gospel at Newport LP), the Hummingbirds essentially retired from mainstream appearances to focus solely on the church circuit. They did, however, burst back into the popular consciousness in 1973, backing Paul Simon on his pop smash "Loves Me Like a Rock." The Birds� own rendition of the song won them a GRAMMY in 1974.The death of Willie Bobo in 1976 brought to a sad end a lengthy chapter of the Hummingbirds' history - his membership in their ranks dated back to the late 1930s - but the surviving members forged on; just two years later, Ebony Magazine named them "The World's Greatest Gospel Group." After Davis retired in 1984, Tucker was the last remaining link to the quartet's formative years; despite the subsequent deaths of Walker in 1992 and Thompson in 1994, Tucker continued leading the group at the century's end, recruiting new blood to keep the Dixie Hummingbirds' spirit alive for years to follow, celebrating their seventh decade with 1999's Music in the Air: The 70th Anniversary All-Star Tribute. In 2003 the group released Diamond Jubilation (Rounder Records) and appeared on the soundtrack of Bob Dylan�s film, Masked and Anonymous.